Paul has been a resident of Warren Twp. New Jersey for over 35 years. 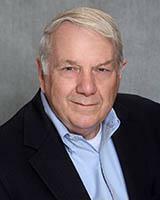 He has been a Licensed Real Estate Salesperson since 1982 and at Weichert since 1992. He created the NJ Estates Real Estate Group of Weichert Realtors, a group of realtors specifically chosen based on their expertise in a variety of areas to accommodate any clients needs. Paul has extensive technological experience realized in the multiple web sites he created to promote all of our listings. He designs successful marketing strategies for an ever changing economic and technological environment on a daily basis. qualified designers, builders, architects and engineers. The depth of knowledge he has acquired he makes available to those in need of advice with regard to land use details. Paul has been recognized numerous times on many different levels of notable criteria within the Weichert Company, too many to list. However, the highest level of the President's Club was awarded him multiple times over the course of his career, he has also been the Top Listing Agent in the Weichert Warren office. Most recently, he has earned the New Jersey Association of Realtors Circle of Excellence Award.